The major update this week is the sprinkler system. 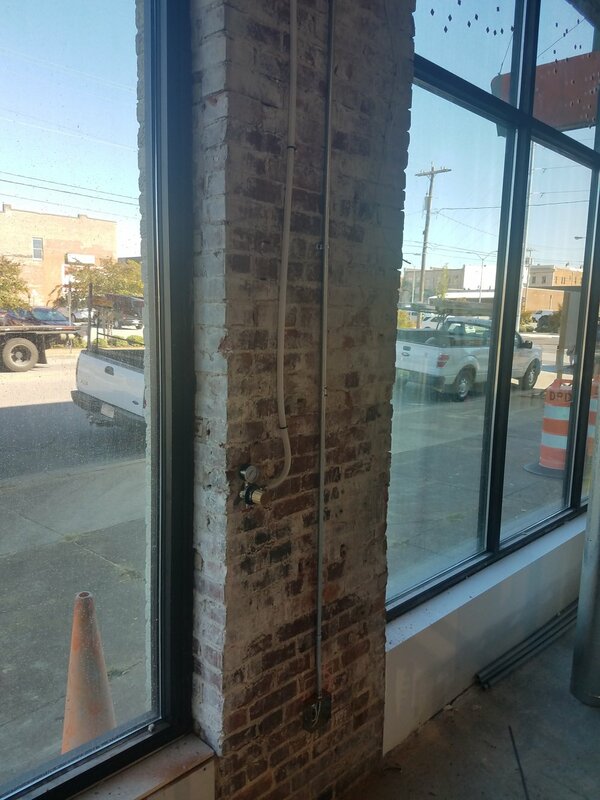 As you can see, the sprinkler heads and valve tree have been installed downstairs and we're working to finish all the pipe runs upstairs. 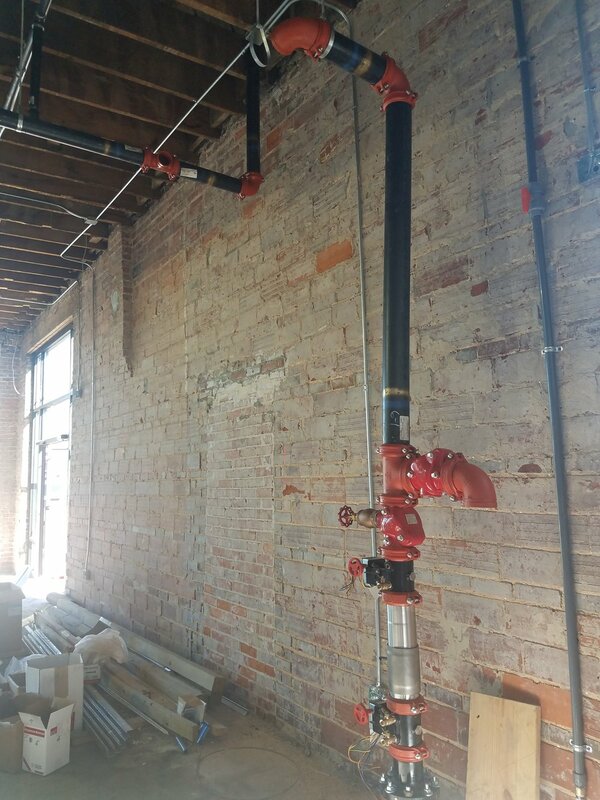 Our CO2 vendor has been by and finished installing the CO2 supply lines throughout the production floor. We're also prepping for a new roof that's going to be installed next week. Here's a "before" shot of the roof to compare with next week's "after" shot. Lots going on, Cheers! !